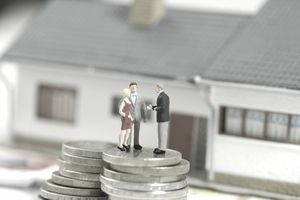 If you are saving money for a down payment on a home or other real estate, you may wonder what the best investment is for you to earn a return on your cash until you need it. The answer is simple: None. Zilch. Nada. Instead, you should put your money in one of a handful of “cash equivalents” that are protected by deposit insurance or the United States Government. The reason comes down to the fact that you should be following an investment strategy called capital preservation. This should not be a surprise. In the words of the legendary investor Benjamin Graham, more money has been lost reaching for a little extra return than any other financial sin. When you’re talking about money that you really can’t do without—whether it be to fund the roof over your head, medical expenses, car repair, or an emergency savings fund in case you lose your job, you need to remember what you’re trying to accomplish. These “reserve” funds need to be accessible to you in as little as a few days, at the most. It represents money that is not meant to generate a return because it has a singular purpose and you don’t want to take on risk. Your capital is responsible for growing your wealth. Many financial tragedies result from a seemingly innocent decision to accept more risk than you can afford. Often, it begins by justifying the decision to yourself along the lines of, “I know it’s a stretch, but it will probably work out alright.” That may be true nine times out of ten but when things go south, the consequences can be devastating, both financially and emotionally. These include checking accounts and savings accounts at FDIC member banks. Not only can you access your money during regular banking hours without any penalty, but, if your bank fails, the government will reimburse you up to $250,000. Offered by FDIC member financial institutions such as many community banks, a certificate of deposit is basically a special type of contract where you lend money to the bank for a specific amount of time, say three months or two years, in exchange for a guaranteed rate of return. Typically, the longer you agree to tie up your money at the bank, the more interest they will pay you. If you don't need your funds for quite some time that can be okay. If you do need to access your money sooner than the maturity on the CD, then the bank may charge you as much as six months’ worth of interest as a penalty. For emergency accounts that you may need to access in the short-term, this makes them a poor choice. If you know you won’t buy a home for, say, at least six months, you might get more favorable terms by buying a CD. These are obligations of the United States Government that mature in one year or less. They are considered one of, if not the, safest of all places to park your cash. That’s because each Treasury Bill is backed by the full taxing power of the government so, in theory, a default is impossible. You buy Treasury bills at a discount and when they mature, you receive the full “face value.” These only make sense if you have a good amount of money already saved for a down payment on your house. You’d need at least $10,000 or $20,000 to make it practical. A money market account at your local bank can be a great way to protect your money while earning much higher interest rates based on how much you have to deposit. These accounts are often FDIC insured, protecting you from the potential problems arising if your bank were to fail. A money market fund, on the other hand, is a more complex mutual fund type investment that buys all kinds of cash equivalent assets. These are typically not FDIC insured. Always, always, always - did I mention always - ask your banker whether or not your money market account is FDIC insured. If it is, it should be a safe place to park your down payment savings. If it's not, don't even think about it. US savings bonds come in two primary types: The Series I savings bond and the Series EE savings bond. Both have unique benefits. If you are more than a year away from needing your down payment money, they provide tremendous benefits because investors are guaranteed to never lose money. That level of protection is vital when dealing with money that you need, such as down payment cash for real estate. Is Certificate of Deposit or Money Market Account Better for You?